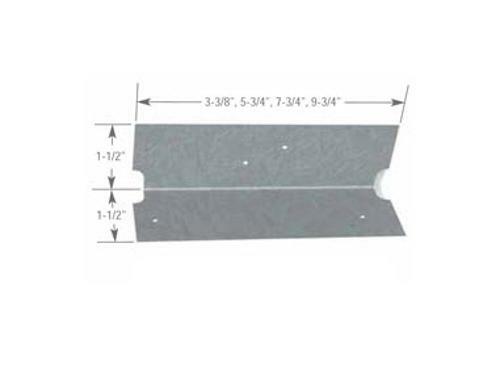 ClarkDietrich EasyClip U-Series clip angles are used to secure U-channel to wall studs for lateral bridging or for miscellaneous rigid connections. U-channel is passed through the stud knockout and an EasyClip U-Series clip is screw-attached or welded to provide a rigid connection. Available in a variety of lengths and gauges, EasyClip U-Series clips are prepunched for faster and more accurate fastener placement. U-Series clip angles and U-channel should not be used in bridging applications when the stud width exceeds 8". Lengths available in 3-3/8", 5-3/4", 7-3/4" and 9-3/4"